Want Your Own Peaceful Private Island? This Stunning One in Italy Is a Bargain. Considering the seemingly inescapable madness in the world these days, it's tough not to long for a quiet and peaceful respite from it all whenever everything becomes just too much. 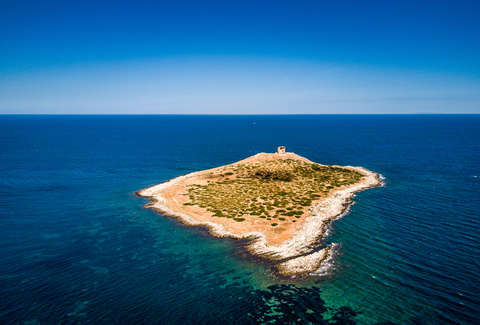 And, sure, a floating mini house fits that bill, but if you're itching for something slightly more private, beautiful, and beach-y you may want to consider this idyllic and isolated island off the coast of Italy, which is now for sale for much cheaper than you'd expect. 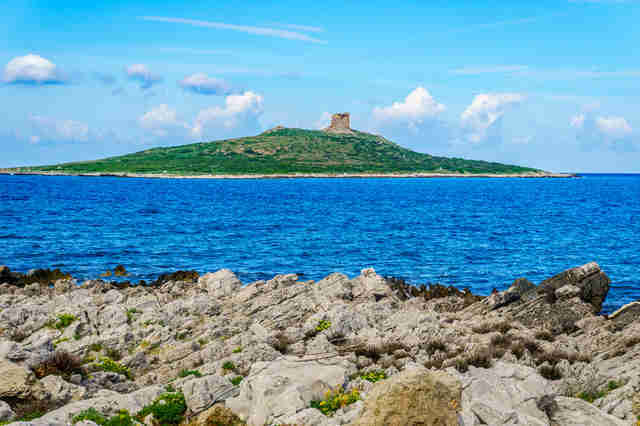 The uninhabited parcel of land known as Isola delle Femmine or "island of women" sits roughly 300 yards off Sicily and is nestled in a protected marine area that's become a hugely popular spot for scuba divers and snorkelers. Even better, the price has just been slashed to the relatively low $1.1 million, which may still seem pretty steep, but hey, it's an entire private freaking island. Get a few friends to chip in, and you could potentially set up one hell of a time share situation. Isola delle Femmine has been owned by the same aristocratic Italian family since the 1600s, who've been trying to offload it for some time. They dropped the price from nearly $4 million in hopes that someone will bite. Since the island is uninhabited, you'll need to do a little work to make it comfortable to live on, though that's not to say that its pristine beach and fields of plants and wildlife aren't solid building blocks. 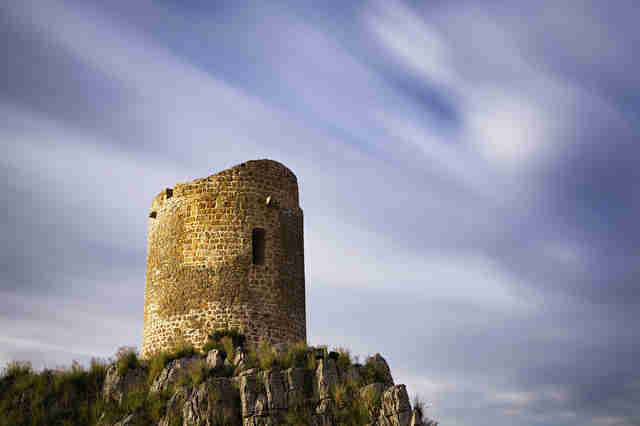 The only structure that currently sits there is an ancient tower, which once served as part of a network of look-out fortresses to protect the area from pirate raids, according to CNN. And while there are restrictions in place to protect its natural beauty, it has serious potential. "A re-style could turn it into an exclusive private residence or a lavish venue for celebrations and business events," real estate agent Riccardo Romolini told CNN. "New owners can apply for tax incentives and funding from the European Union if they come up with a development project that respects the surrounding nature." If an island of your own feels like something you want to know more about, you can scope out a ton of pics of the place (and reach out for more info) right here. Though if you can't quite swing a million bucks to own a slice of Italy in the sea, you could always throw your hat in the ring to win a quaint countryside villa there for under $100.